Call 866-869-3335 To Get the Right North Carolina Workers Compensation Insurance Protection For You at the Lowest Cost! North Carolina Workers Compensation Insurance, also known as workers’ comp, workmans’ comp and workers’ liability insurance provides coverage for work related injuries and part of lost income. 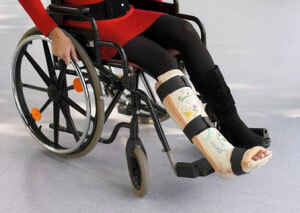 It is sometimes compared to disability insurance except that the injury must have occurred while working. Click Here to learn about NC Workers Compensation Laws and Requirements. Save Up To 63% On Your North Carolina Workers Compensation Insurance! Exclusive program is saving NC businesses up 63% on workers compensation insurance. Trucking companies, contractors, moving companies, crane operators and other classes may qualify for the lowest workers comp rates available. Call today to see your business can qualify! What Businesses Should Carry Workers’ Compensation? If your business employs 3 or more workers, you are required by North Carolina state law to carry workers’ compensation insurance. That said, every business should carry workers compensation insurance regardless of how many employees you have. Why? Because you can be liable to pay for employee injuries while on the job as well as a portion of their lost wages. Various occupations are assigned codes and these codes play a big factor in how much you pay for North Carolina workers compensation insurance. A costly mistake that many North Carolina businesses make is using the wrong codes for various jobs. The riskier the job, the higher the rate and if your employees are not listed with the correct code, you could be paying more than you should. Historically, workers comp rates have increased for certain occupations such as contractors. Fortunately for you though, we offer workers compensation insurance from many different insurance companies and can shop your rates finding you the lowest cost workers compensation insurance. Call 866-869-3335 for a FREE, No Obligation North Carolina Workers Compensation Insurance Quote Today or Complete the Form on the Right!